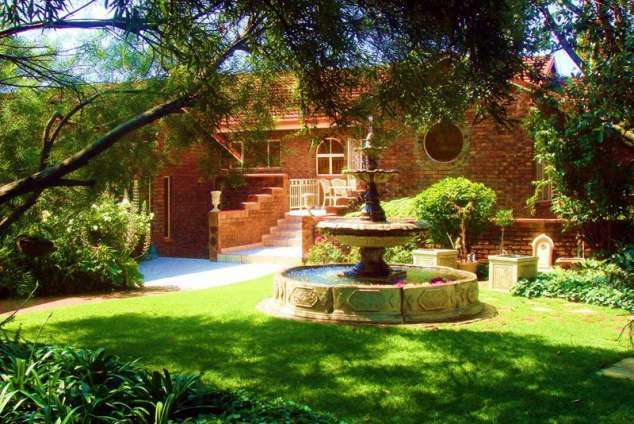 Witbank Fountain Guesthouse - Witbank Accommodation. 1/8 - Accommodation in the heart of Mpumalanga. 3/8 - Come and enjoy breakfast, lunch or dinner. 5/8 - Spacious rooms with en-suit bathrooms. 7/8 - Clean modern bathrooms. The guesthouse is designed around luxury rooms, cleanliness in rooms and bathrooms, wall to wall carpets, under floor heating, room TV, hair drier, safe, fridge, safety for clients, remote controlled closed lock up garage parking, standby water and power to ensure a comfortable stay, tea gardens, pool and private dining areas. Smoking policy: No smoking in rooms but feel free to use the veranda and gardens. 35233 page views since 15 Apr, 2008. Last updated on 18 Apr, 2018.